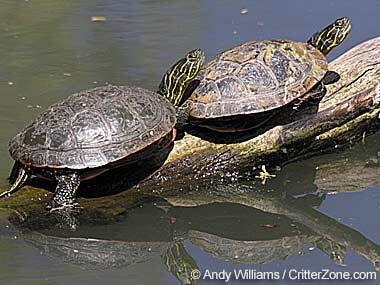 Painted turtles photo © Andy Williams / CritterZone: Animal - Wildlife - Nature Stock Photography (all rights reserved; used by permission). The painted turtle is the only turtle still commonly found in Michigan of the nine or ten native species that live in the state. 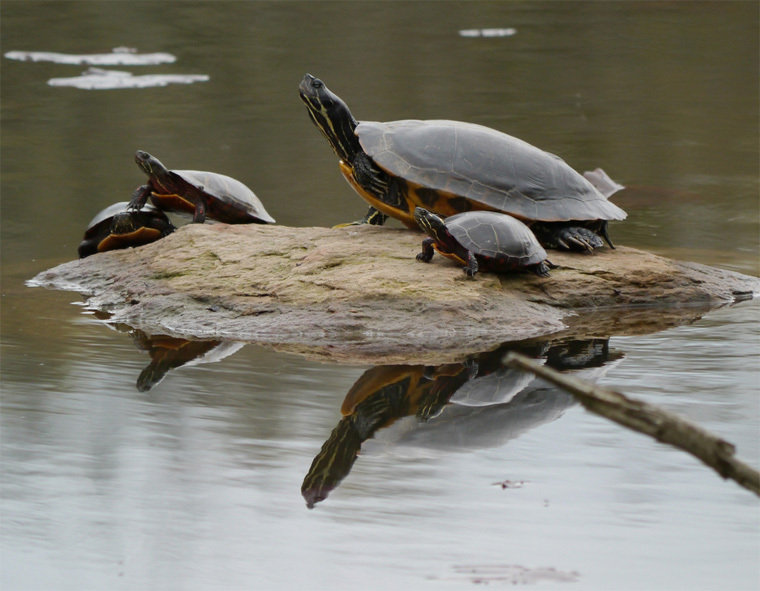 The other turtles native to Michigan are Blanding's turtle, snapping turtle, musk turtle, spotted turtle, wood turtle, eastern box turtle, common map turtle, and eastern spiny softshell turtle. 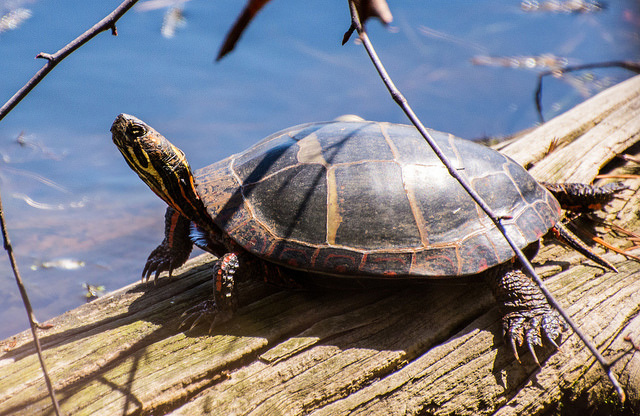 The red-eared slider turtle may or may not be native (some scientists believe it was introduced in the 1950's when thousands were imported for the pet turtle trade. The species might also be part native and part introduced).